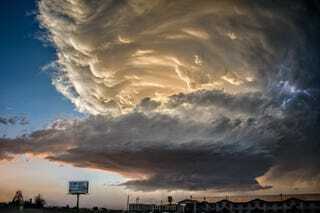 Photographer Jody Miller has been storm chasing and the results are outstanding. These vivid images capture the fury of mother nature in some extraordinarily beautiful landscapes. Jody Miller is a photographer, designer and animator who has participated at the Ansel Adams workshop and loves shooting abandoned and lonesome places, particularly at night. You can visit Jody's website here, view her photos on Flickr or follow her on Facebook.